WEST GLACIER, Mont. 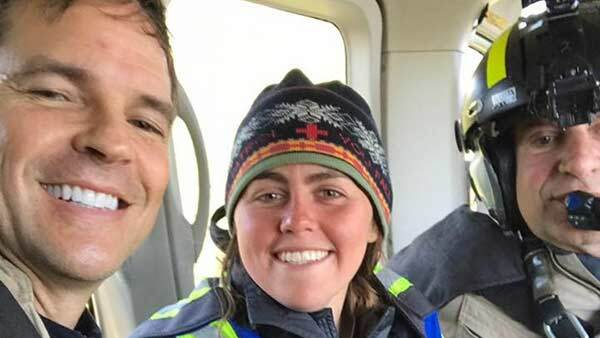 (WLS) -- A hiker who was rescued after going missing on a hike in the Montana wilderness is revealing how she survived with no food or shelter for nearly a week. Six days after a hiker, originally from west suburban River Forest, went missing in Montana, she was found alive. Madeline Connelly was found with her dog, Mogi, by rescuers six days after going missing at Great Bear Wilderness near Glacier National Park. The 23-year-old, originally from west suburban River Forest, was located by air rescue crews in a heavily wooded area last Wednesday. Over the weekend, Connelly wrote on Facebook that she is "still trying to process that this is real life." "From everyone here in Montana to all back at home and to all the messages I received from all over the world, I cannot be more thankful. I am at an enormous loss of words," Connelly wrote on Facebook. She also noted that "nature was so good to us," and detailed how she slept on dirt at night under the shelter of trees, melted snow for water and ate glacier lilies as a "nutritious snack." "I am so grateful for the trees that kept us dry at night," Connelly wrote. "The birds that kept us company with the beautiful songs throughout the day, the dirt that provided us with a soft space to sleep at night, the little mice that kept me company at night, the bones and fresh animal poop that made Mogis day." You can read Connelly's full message below.